(TORONTO, ON) – Calling it a “bombshell”: the Ontario Health Coalition and the Ontario Federation of Labour responded to a leaked document revealing a draft health care legislation written by the Ford government in secret that would create a “super agency” with extraordinary powers to restructure Ontario’s entire health care system. The Ontario NDP opened up the document to public scrutiny by providing it to the Ontario media on Thursday. The draft legislation takes most of the worst elements of the existing Local Health Integration Networks (LHINs) and piles them into one new centralized super agency, warned the Ontario Health Coalition. The Ontario Federation of Labour vowed to use its million-member might to work with the Ontario Health Coalition to safeguard public health care and local health care services like public hospitals and public non-profit homecare. Both organizations reported that the plans outlined in the draft legislation have been hatched in secret. There has been no public consultation whatsoever on the central ideas of the legislation: mega-mergers of health care providers like hospitals and privatization of entire categories of services. “The Ford government has no mandate for any of this. They never once mentioned it in the provincial election,” noted Labelle. The Ontario Health Coalition, which represents more than 400 patient and family groups, seniors’ organizations, unions, nurses’ groups, health professionals’ organizations, student groups, ethno-cultural groups and many others, vowed to use all its strength and work alongside the Ontario Federation of Labour to stop damaging restructuring, mega-mergers and privatization. 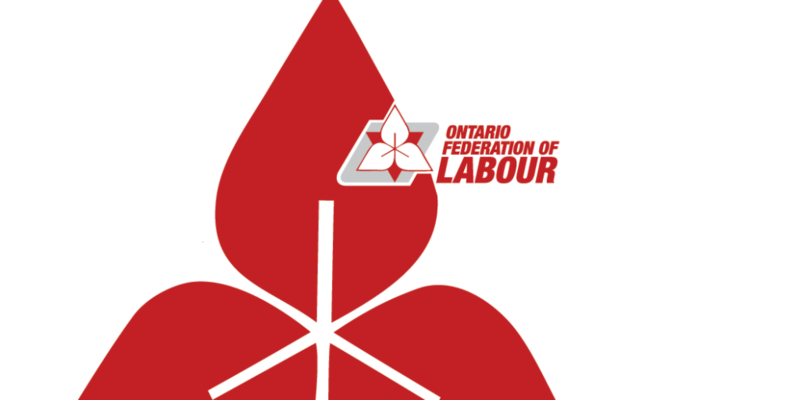 The Ontario Federation of Labour represents 54 unions and one million workers in Ontario. For information, visit www.ofl.ca and follow @OFLabour on Facebook and Twitter.